I think we'd all be lying if we said we'd never experienced the dreaded 'blogger's block'. The sudden arrival of having next to no inspiration to write or take photos and the fear that comes alongside it. Because what if? What if we never get that excitement and passion back again? What if this is the end of enjoying blogging? Okay, maybe that was slightly dramatic, but you know what I mean. I for one, certainly have days where I'm sat on my bed watching YouTube, knowing that I should really get up and shoot some photos before the sun goes in again, but struggling to find the motivation to actually do so. However, in the past year that I've been blogging, I've always managed to drag myself back and realise all over again how much I love blogging. So today, I wanted to share some of my thoughts and tips for when you fall out of love with blogging. It's something I've definitely talked about in posts before: the reason why I started blogging. It was something I'd been considering for about a year, after coming to the conclusion that I'm far too awkward to film YouTube videos and know absolutely nothing about editing film. But I put it off in favour of prioritising my A Levels. So when my blog was eventually born last June it became my happy place. Somewhere where I can rant and rave about all things beauty and fashion surrounded by fellow bloggers who have the same interests. My friends in real life aren't particularly the most girly group of people, which is fine, except that I am, so for me, my blog became the online explosion of the part of my personality I kept under tethers in real life. My absolute favourite person, Lisa described blogging in her last post, as a form of therapy. I completely agree! If having your blog doesn't make you feel happy and content then maybe question why you're doing it. Of course if it's just a temporary thing, then try and push through it, however if you constantly find yourself bogged down with scheduling posts and taking the perfect flat lay, then maybe consider taking a break. Sometimes a couple of weeks off is all you need to really remember just how much you love and adore blogging, and why it was that you started in the first place. Ahh the ultimate blogger vice: stats. Now I'm not going to stand here and say that you should completely ignore your comments and views because that's not true. I know that a couple of hours after uploading a new post, I religiously check to see if anyone has left their thoughts on my post. To me, it's a sign that people are reading and engaging and seeing those words at the bottom of the screen makes me absurdly happy. However, I'm certainly guilty of comparing my blog to others. I see others on Twitter and Instagram who've been blogging half as long as me, yet have double the views? This leads me to have a what-I-call 'Blogging Crisis'. Doubts start flooding to mind: "Oh my god, is my photography bad? Am I just not unique enough? Maybe I shouldn't have posted that Insta... Am I annoying? Does everyone secretly have hate groups where they laugh at my posts?!" Okay, so maybe not quite to that extent, but you get the picture. Because even though I try not to let it bother me, I constantly worry about why my blog views have plateaued recently and why some people have wayyy more Instagram followers. But to be honest, if you're blogging solely for the views and recognition, I don't think you're doing it for the right reasons. Of course, we'd be lying if we didn't admit that blogging full time and travelling the world isn't the dream, but if the only reason you log onto your laptop is because you want fame, then I'd suggest giving up now. Whenever I'm lacking in the inspiration department my first point of call is usually inthefrow. Victoria is the queen of beautiful photography, luxurious lifestyle yet the absolute epitome of hard working. Her photography skills are second to none and the way she writes is like reading a professional magazine. If ever I'm feeling like I don't know what to photograph or how to do it, I head straight for the beauty section on her blog, where I'm constantly in awe. Looking at other bloggers is such a great way to feel inspired again. Just seeing how the fellow internet girlies have set things up and created stunning posts just makes me feel so much more motivated to push my own skills. However I do feel like sometimes there may be a darker side to this. Because naturally, I can't help but compare myself, and I'm sure you do the same too. Once again this can lead to the 'blogger crisis' if you let it get too out of hand. But I just try and remind myself that 'big bloggers' like Victoria, blog and make YouTube as their full time job. They don't have to fit around a 9-5 office job or getting home from a day in retail feeling as though you just want to crawl into a hole and sleep for eternity. So of course their content is going to be of higher standard, it just comes with the territory! Another way to inspire myself is Pinterest. I'm obsessed with this app. Seriously. I was first introduced to Pinterest in 2013 by my art teacher, who is literally the biggest Pinterest fan ever. We spend an entire lesson making Pinterest profiles and pinning inspiration for our A Level projects. However since then, I've stared using it as inspo for blogging, as it's absolutely saturated with stunning fashion, beauty and travel photos. If you don't have Pinterest I would highly recommend getting it, as it's totally free and so much fun! Thanks for reading lovelies! 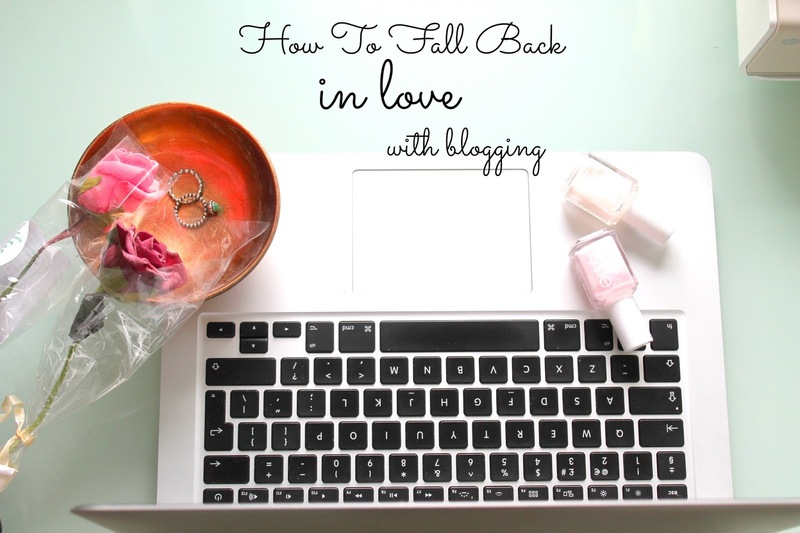 If you've got any tips of falling back in love with your blog, then please don't hesitate in leaving them below! This is a great post and it's actually what I've been needing to read lately as I've been having a bit of a struggle in regards to blogging! Think I'm definitely going to take these into account and use them! Especially the inspiration part as I think that's probably what is lacking with me and I can admit I do get a little bummed out if I have a week where my stats are poor, but I remember that it's not important and that I'm blogging to keep track of my own experiences in life and to talk about the make up I enjoy! Taking a week or so often can definitely be a massive help if you've fallen out of love with it! Because you can end up forcing yourself to post stuff you end up not being happy with at all just for the sake of posting things and then you may feel you're only blogging to please others! So taking time off when needed is definitely one of the best things people can do! Loved this! 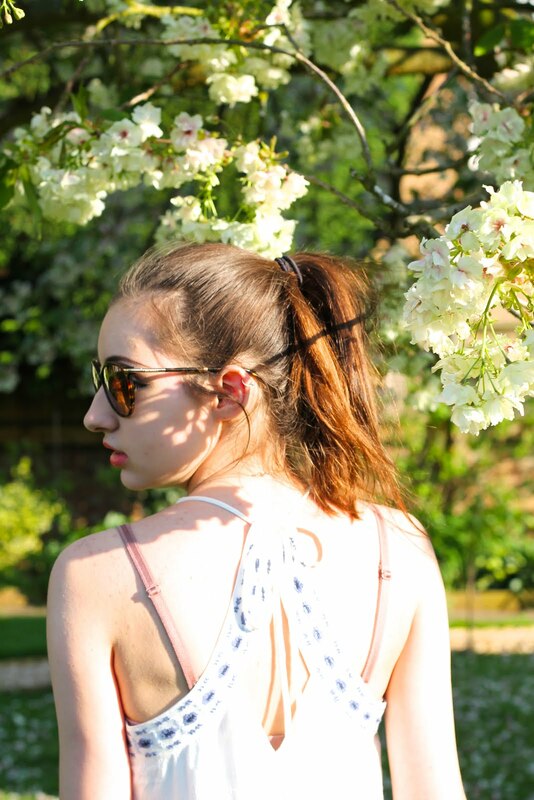 - I can feel quite bogged down with blogging, feeling like I'm doing a crap job, but it just helps to switch off and not thinking about it too much! - when I do get back into it, it really is a therapy! Hey Lily! I just found your blog and let me tell is such a lovely website, congrats on the layout and the topics! Now, talking about this post I can understand that feeling you put down in words, sometimes I don't feel motivated and sometimes I want to reach my goals and I put all my efforts in my blog. I saved this post on my bookmarks, maybe in a future I can take a look at your words and find some inspiration in your words to keep on blogging 'till I reach my goals little by little. This article couldn't have come at a better time - I've found my passion for blogging waning recently, most likely due to a hectic job and busy social life. I totally agree that blogging can be therapeutic - when I haven't blogged in a while, I definitely find myself feeling more irritable. It's like an outlet for me. So that's motivation to start posting more regularly, as well as writing about topics I enjoy. I'm all for a little break or even cutting down on the amount I post each week when I'm lacking motivation as it does show me how much I miss it when I'm not doing it. I'm on the fence about looking at blogs I love for inspiration and motivation - when I'm in a positive blogging mood it does really motivate to write the best I can and take the best photos I can, but if I'm already feeling negative about my blog it does cause me to compare my blog to there's and want to give up aha!